You have read my posts about this years IPCPR in Las Vegas and how much fun it was.. It was our 4th year and I have to say I was very humbled with the thanks I received for what we do on our side of the cigar business. Going to the show is more like a reunion of old friends and a chance to meet new ones and this year was no different. One of those old friends is the team from Cornelius & Anthony headed by Steven Bailey. As a sponsor of Stogie Press I can’t thank Steven enough but more importantly is how easy it is to write about Cornelius & Anthony cigars. This year, the Cornelius & Anthony booth was jamming as they showed off their latest introductions to the market; the Señor Esugars and the Aerial. 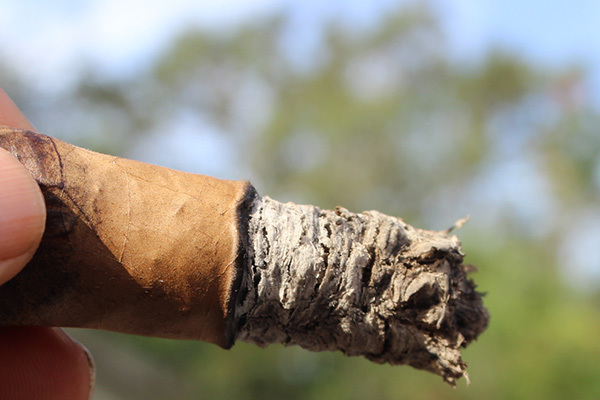 It is the Aerial cigar that is today’s focus. Once again, Steven Bailey has chosen Erik Espinosa’s La Zona factory in Esteli, Nicaragua to produce the Aerial. 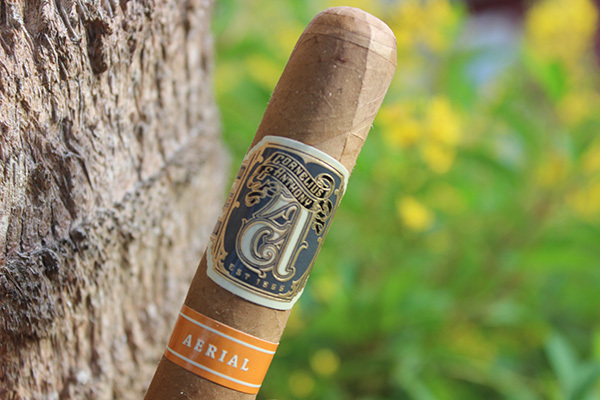 Looking over the Cornelius & Anthony Aerial cigar you can’t help but feel this cigar will help the company reach new heights. 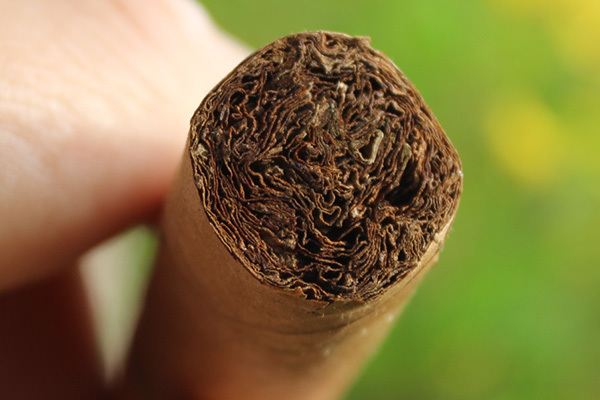 It is a solidly packed cigar with a light tan wrapper that is smooth as silk. It is finished with an expertly applied triple cap and adorned with two perfectly applied bands that show the pride the company takes in all their offerings. Yes, I do take note of how the bands are applied and these are not sloppily put on. The primary band is the standard Cornelius & Anthony and the secondary band right below it is a bright orange band with the word Aerial embossed in the middle in white. 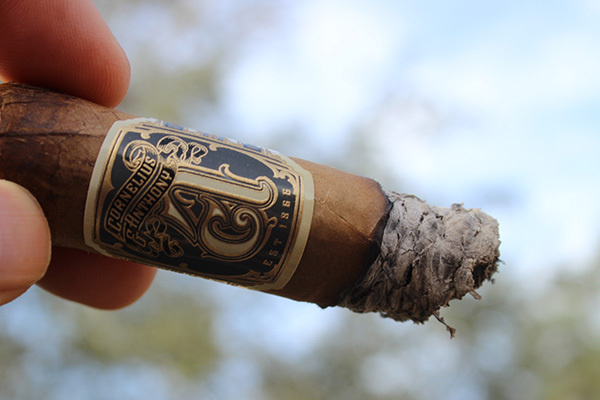 The pre-light aromas were enticing especially for a Connecticut cigar. Although there was not much along the barrel the foot did exude notes of sweet hay and pepper. Once cut, the cold draw offered a mild restriction with notes of pepper, spice and citrus. As I rolled it about, the pepper note grew as if there was an internal pepper engine about to fire up. 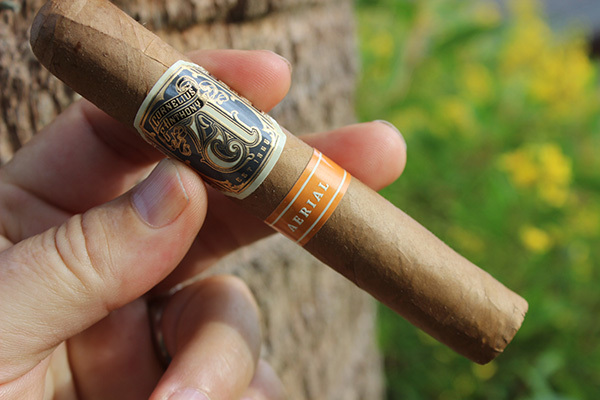 I continued to roll it about and enjoy the pre-light flavors as the morning sun rose over the trees. Looking up at the blue sky this fine weekend morning, I decided it was time to launch the Cornelius & Anthony Aerial into flight. Pepper hits right away – no surprise there! 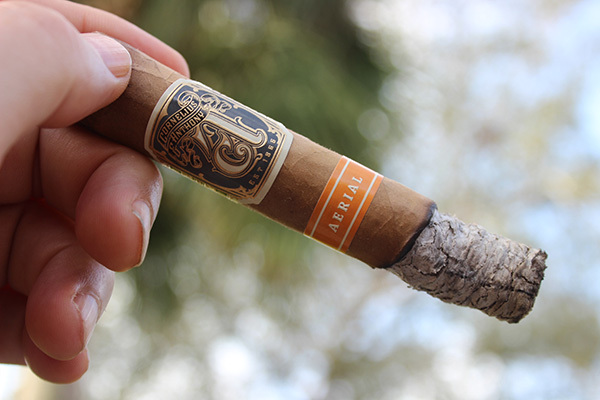 Overall, the Cornelius & Anthony Aerial is an excellent addition to the already highly rated blends in their portfolio. 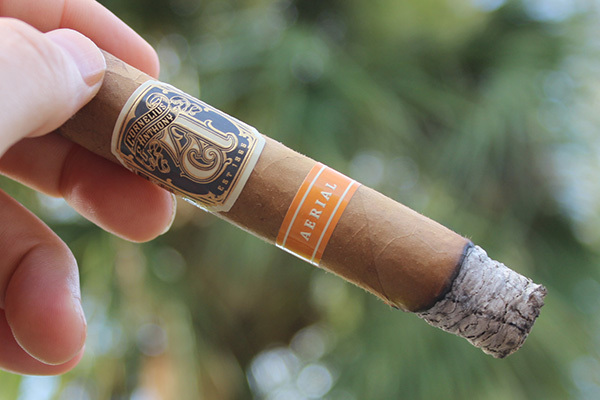 If you think this is a mild cigar I say think again as the Cornelius & Anthony Aerial offers a nice dose of pepper and spice wrapped in a delicate graham cracker sweetness and nut. 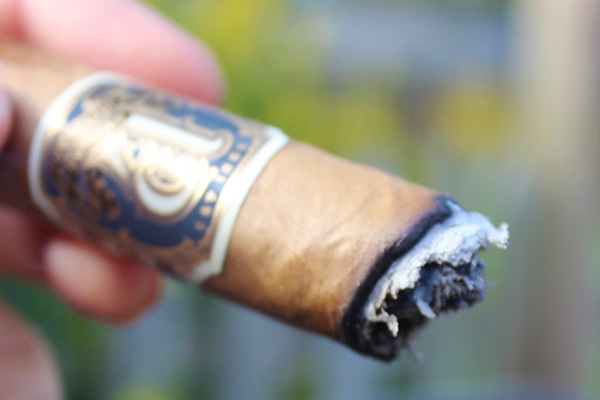 This is cigar is one that is delicious from foot to nub and offered a great burn and ash along the journey. I would pair this with a morning cup of coffee or late evening with a highland malt scotch. This certainly contends for this years top 25 for sure. I look to get some more to see how they age. 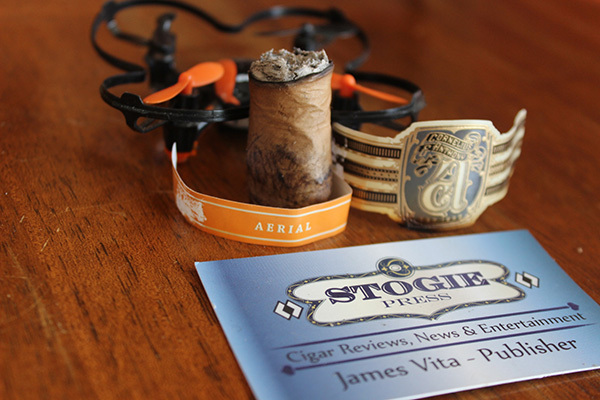 This entry was posted in Cigar Review, Cornelius & Anthony and tagged cigar review, Cornelius & Anthony, Cornelius & Anthony Aerial, IPCPR 2017, Steven Bailey. Bookmark the permalink.